No, I’m not just taking pictures of the contents of my cabinets. I got this mug for Christmas from my boyfriend’s parents, so I guess I’m serious about this blogging thing. He got one, too, with the title of his blog – The Parasite Frequently* – on it. So, now we both have to keep writing since 1.) We’re being taken seriously and 2.) 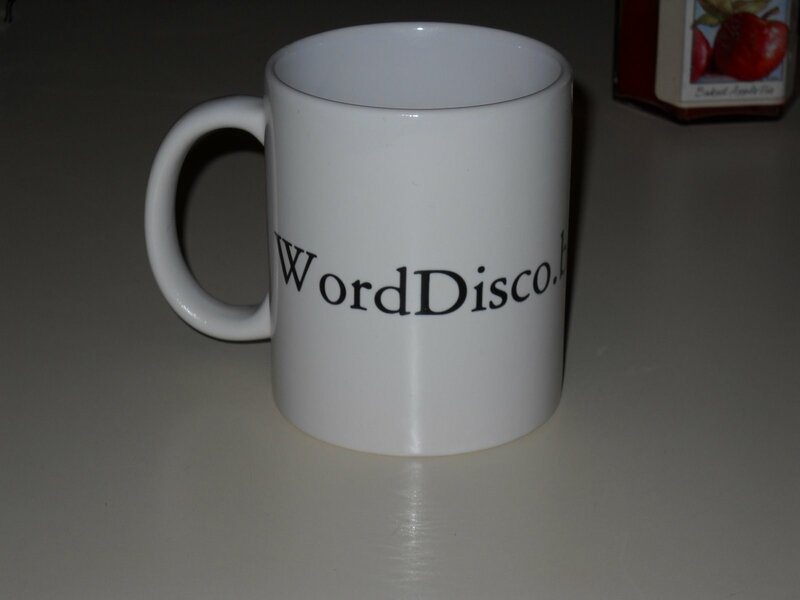 Otherwise, these mugs will serve as reminders of our crippling defeat on the internets. Though the mugs would probably be delightful vessles to cry into. *Note: The Parasite Frequently is ideal for you or your loved ones if you’ve had pressing questions about Shakespeare, literature, or if you’d like to read my boyfriend holding forth on reading poems. It’s okay, he’s a professional (like me, but with more seriousity).